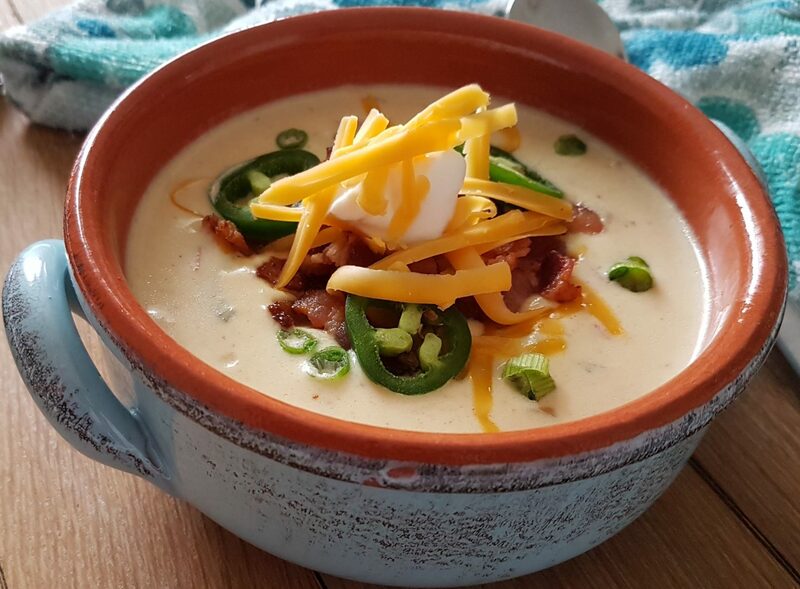 There is nothing more comforting to me on a cold day than a delicious bowl of homemade soup. In the winter, I probably make a pot of homemade soup at least several times a week. I just love it! It truly is the ultimate comfort food. I think the best thing about making soup, is how easy it is to customize to your own preference. If you have veggies in your fridge that need to be used up, go ahead and throw them in. The more the merrier. This is more about the method than following the recipe exactly. For a vegetarian version: omit the meatballs and chicken stock. Add a can of rinsed and drained beans,( chickpeas, kidney beans, cannellini beans etc.) Replace chicken stock with vegetable stock and use vegetarian Worcestershire. For a gluten-free version: Make meatballs with GF Italian sausage and crushed rice crackers, GF chicken stock, Worcestershire, and pasta. Tip: If you have leftover parmesan rinds, they add a great flavor to the soup. Just add and simmer with the rest of the ingredients. Remove before serving. Preheat oven to 375 F. Mix together sausage and cracker crumbs. Roll into small meatballs. Bake on a lightly greased pan until cooked through. Set aside. In a large pot heat olive oil over medium heat. Cook onion and celery until softened. Add the garlic and chili flakes and cook one minute longer. Add roasted pepper, stock, Worcestershire, and tomatoes and Parmesan rinds. Bring to a boil. Cover and reduce heat to low and simmer for about an hour. Add pasta and kale and simmer until pasta is cooked. Add fresh basil, cooked meatballs and salt, and pepper to taste. Serve with freshly grated Parmesan. Yields: 6 to 8 servings. 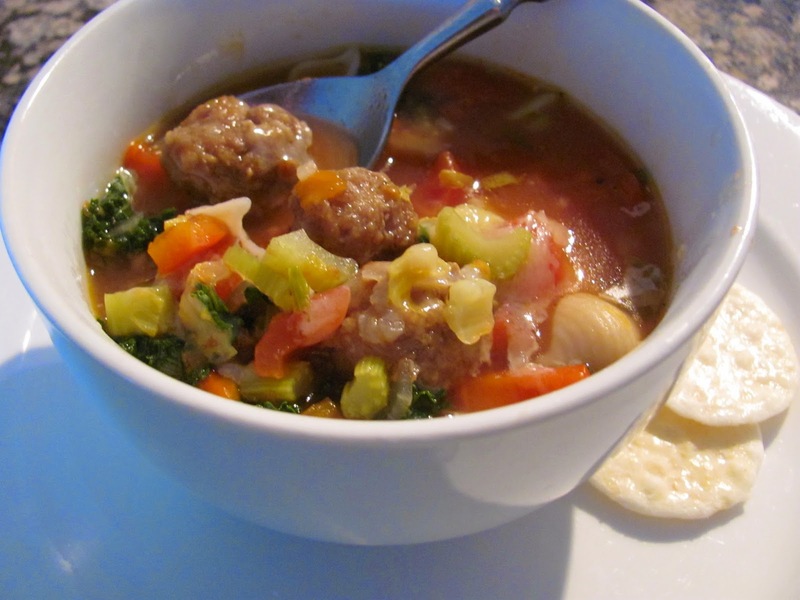 This entry was posted in Main Dish, One Pot Meals, Quick and Easy, Sides, Soups and Stews and tagged Comfort Food, Italian, Kale, Meatballs, Minestrone, Sausage, Soup, Tomatoes. Bookmark the permalink.